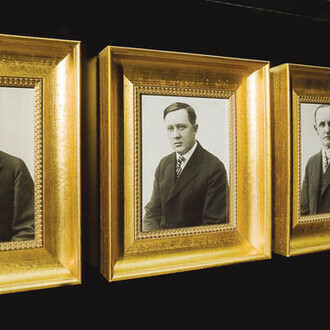 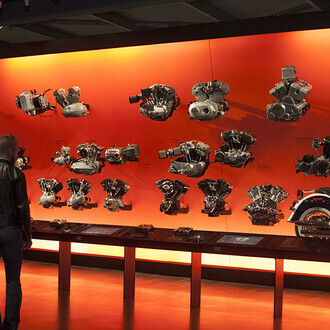 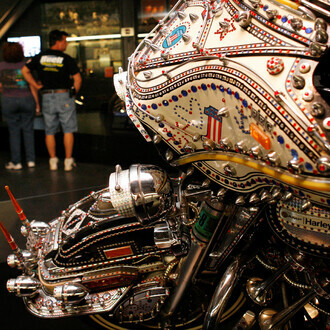 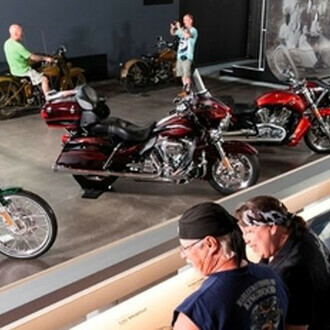 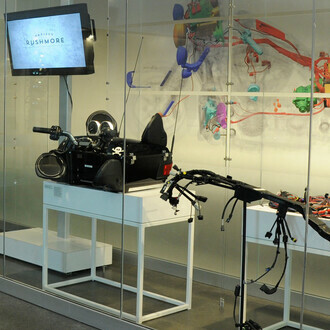 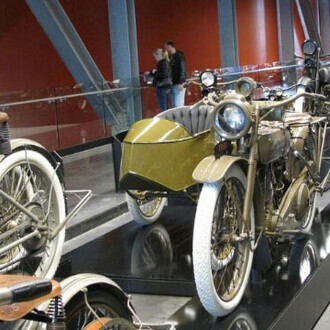 As you meander downstairs to continue your tour, you'll enter another set of galleries which feature some of Harley-Davidson's more recent history. 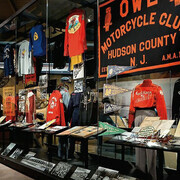 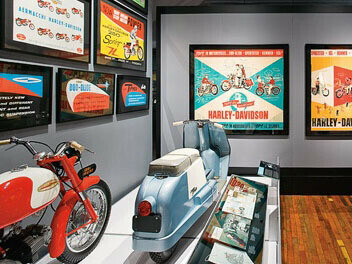 At the foot of the stairs sits a diorama recreating a window display from a 1951 Harley-Davidson® dealership. 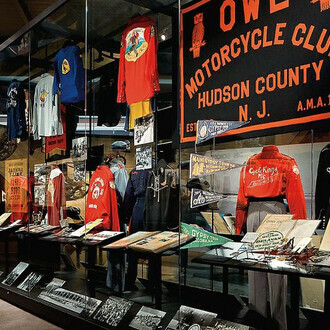 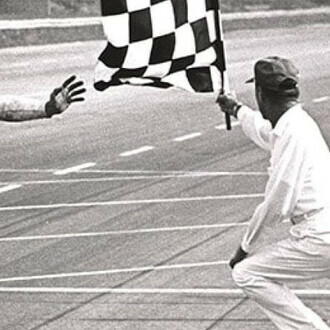 Making your way through the galleries, you'll experience some of Harley-Davidson's most successful and most challenging events of recent years – from the launch of the Sportster® model in 1957 to the merger with AMF in 1969. 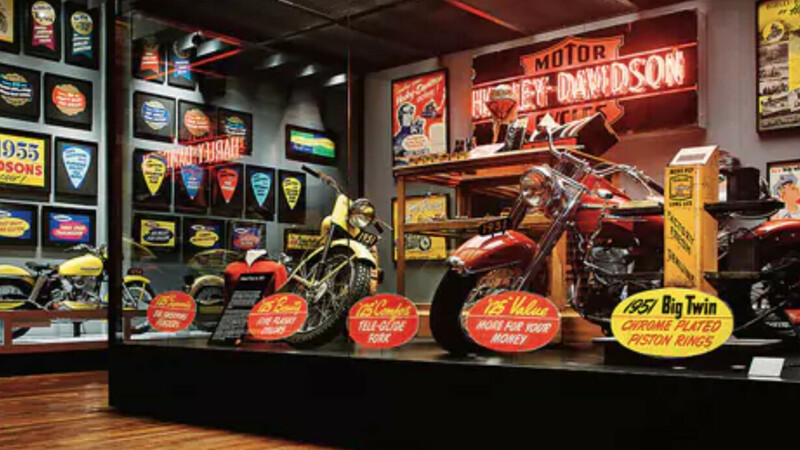 Not to be missed is the three-screen video that tells the courageous story of all those involved in buying the company back from AMF in order to regain control of Harley-Davidson's destiny. 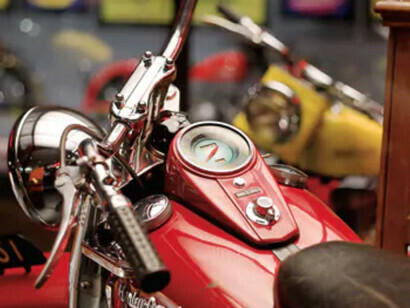 The Harley Owners Group® is the world’s largest factory-sponsored motorcycle group. 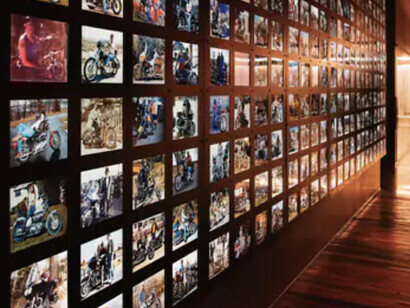 With almost a million members worldwide, including more than 100,000 in the EMEA region, H.O.G.® offers its members numerous benefits to enhance their Harley-Davidson® motorcycle-riding experience – not least of which is the opportunity to meet and ride with fellow members of this inclusive, welcoming global family.